Your faithful furry friend may spend a fair amount of time staring longingly at your plate, but the ideal dog diet doesn’t revolve around table scraps. You not only need the proper dog food, but you also need to know how much to feed your dog and what type of feeding schedule works best for your furry four-legged friend. 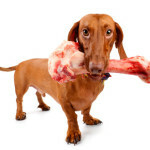 What Do Dogs Eat, and How Much? A dog’s food consumption varies based on several factors. The dog’s age is the first consideration. A puppy is growing and needs a lot of food to compensate for this. The food needs decrease as your dog moves into the adult stage. Senior dogs typically require the least food, due to their slow metabolism or lack of activity. 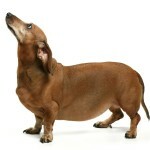 Dog’s size also changes the food needs, as a large Great Dane needs more food than a small terrier. You also need to consider your dog’s level of activeness. Is your dog jumping at the door with a leash in their mouth the second you get home? Or do you need to sit on top of them because they won’t move off the couch? An active or working dog eats more than a dog who specializes in power naps. 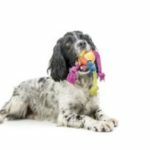 The type of food your dog eats has an impact on how much they need to eat, as some options may be more nutritionally dense and filling than other types of food. A set feeding schedule is preferable to free-feeding your dog, as this predictability helps them stay regular. Ideally, you’ll set out dog food twice per day — once in the morning and once in the evening. This schedule is healthy for the dog and also fits with a typical work schedule. If you’re unable to do set morning and evening times, try to leave enough space in between feedings so you don’t have a big gap between the last feeding of the day and the first of the next day. Can I Feed My Dog Table Scraps? Dogs need nutritionally balanced meals and table scraps don’t deliver the right nutrients. Appropriate table scraps in moderation work as a treat but they should never take the place of a regular meal. You’ll run into several problems by frequently giving your dog table scraps – you shift their eating schedule away from the optimal twice-a-day frequency and disrupt the amount of food they are eating in a day. 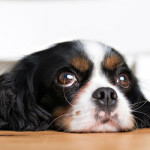 Not sure which human foods are safe for dogs? Download the free “Can my dog eat THIS?” poster at the bottom of this post and keep it on your fridge, in your kitchen or close to wherever you feed your furry friend.